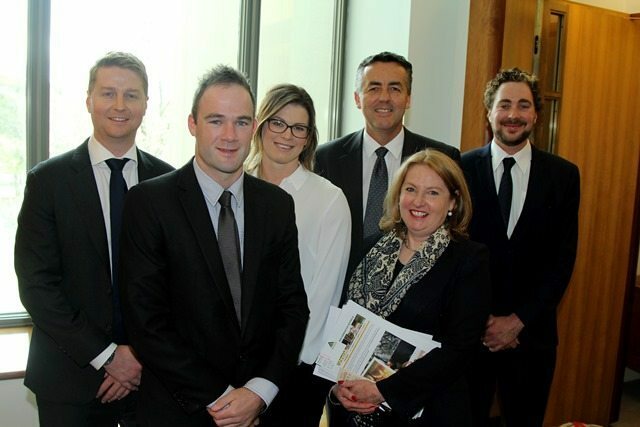 Gippsland resident Michael Dent was among young timber community ambassadors from across Australia to visit Canberra this week to raise the profile of their industry. The delegation met with The Nationals Member for Gippsland Darren Chester as part of a series of meetings with federal MPs in Parliament House, focusing on the need for governments to demonstrate a strong commitment to policies supportive of the timber sector. Mr Dent is employed by HVP Plantations in the Latrobe Valley. He switched from studying architecture to graduate in forestry and has commenced a Master of Business Administration. Concerned about low awareness, he wants to promote the environmental credentials of timber and interesting job opportunities along the supply chain to school students. The purpose of their visit was to raise awareness of sustainability practices within the timber industry, and to ensure the voices of timber communities are heard on issues that affect them. Mr Chester said it was encouraging that young people were eager to explain the sustainability credentials of their industry. “The forest and wood products sector is an important industry to Gippsland and is a major supporter of local jobs,” Mr Chester said. The Canberra visit was part of the Timber Communities Australia Young Ambassadors initiative, a six-month skills development program, led by TCA national coordinator Helen Murray. The other participants included Leilani Dawes from the Mt Lofty region of South Australia; Matthew Randall from Albany in Western Australia; and Roy Head from Kempsey NSW. CAPTION: Federal Member for Gippsland Darren Chester with timber industry advocates Roy Head, Michael Dent, Leilani Dawes, TCA national coordinator Helen Murray and Matthew Randall.